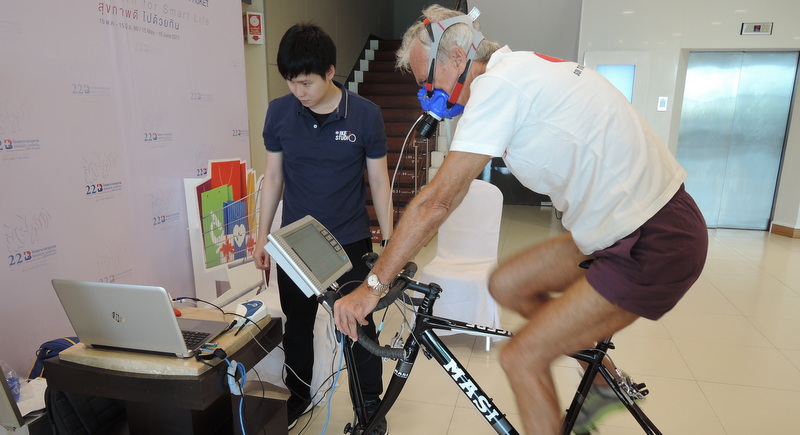 So, there I was, early on a Thursday morning, kitted out like Darth Vader with a breathing mask strapped to my face, a heart monitor wrapped around my chest and my feet poised to start pumping the pedals of a stationary bike inside the Bike Unit at Bangkok Hospital Phuket in Phuket Town. 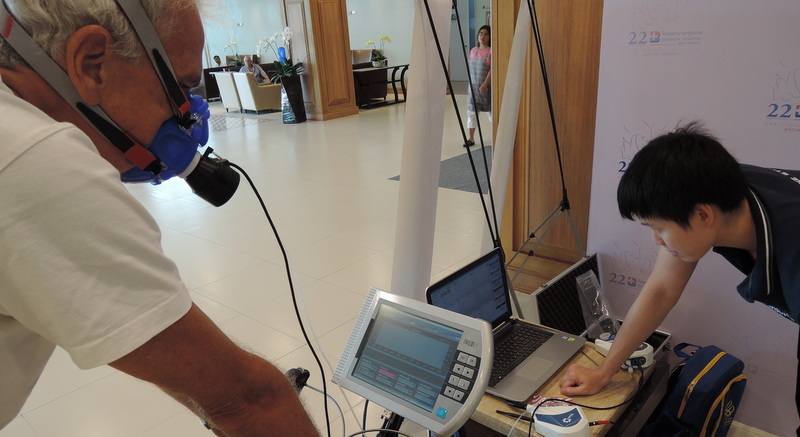 In a departure from his usual cycling adventures around the island, Baz heads to Bangkok Hospital Phuket for some hi-tech testing. Namajanaga ‘Suli’ Sihayatra welcomes Baz to the hospital’s Bike Unit. The test revealed a range of fitness indicators. That’s right. 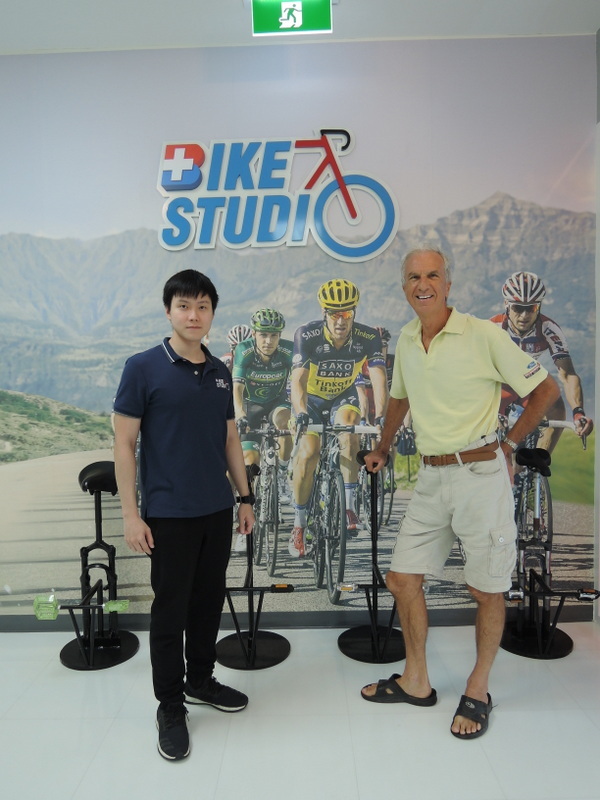 Phuket now has its very own Bike Unit, where assessments can be made about the metabolic health and fitness of riders and anyone else who wants to learn a little more about the arcane workings of their heart, lungs, circulatory system and metabolism. 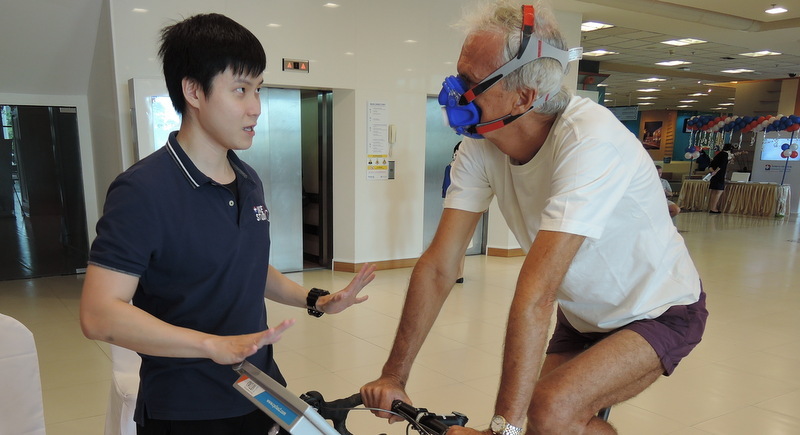 The main measurement this equipment generates has the unwieldy name of VO2 Max connoting the maximum volume of oxygen that the subject can use when involved in intense exercise. This is essentially a metric used to measure an athlete’s level of cardiovascular (heart) fitness. In the world of endurance sports like cycling, VO2 Max is the king of physiological data, and confers bragging rights upon the athletes with the highest number. The test is performed on a treadmill, or on a stationary bike, as I did it, the resistance of which is progressively increased until you simply cannot push the pedals any longer. My torturer in this masochistic endeavour was a charming young man named Namajanaga “Suli” Sihayatra who has a Bachelor’s Degree from the Sport Science Faculty of Chulalongkorn University and is Certified as a Personal Trainer by the National Academy of Sport Medicine. 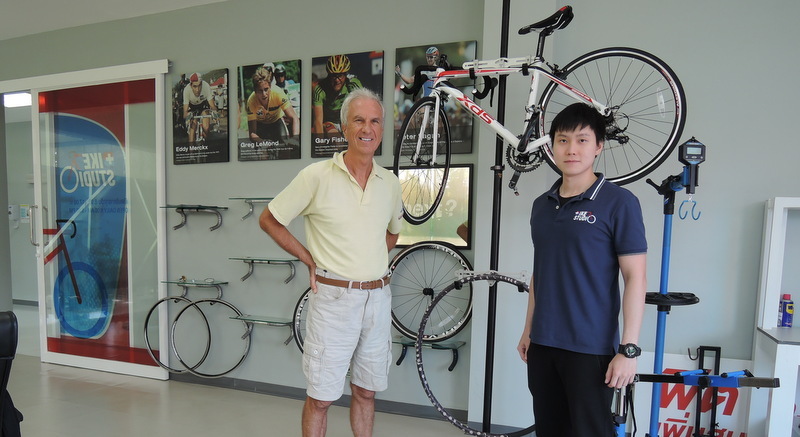 He is overseen by my old friend Doctor Sayam Hanpipat, who has previously featured in this column and is himself a very fit and accomplished cyclist. The complex computer system controlling all this is runs Cyclus Two software which regulates your exercise intensity so that gear changes are not necessary. In my case this was a jolly good thing, as it meant that I could just concentrate on pumping the pedals without any distractions. My initial heart rate and oxygen values were recorded at resting levels and then I started cycling at 50 watts for three minutes. Then the computer system gradually increased the exercise intensity by 20 watts per minute until I simply could not pedal any longer. The first few minutes felt like a gentle pootle through inviting countryside, nice and easy, as my heart rate gradually increased and the computer created a graph of my data. However, by 300 watts intensity, I was struggling and my breathing was getting increasingly fast and intense. I looked around for some sort of divine intervention which failed to materialise, as I kept on pedalling and the intensity continued to rise. Now my body was struggling for oxygen and exhaling carbon dioxide as fast as it could, as it madly tried to maintain the ratio of oxygen to carbon dioxide in my bloodstream. I struggled to keep my cadence and I could feel that the end was near. Exhaustion was around the corner as my heart rate climbed to almost three times its resting rate. At this point, my body was no longer able to absorb enough oxygen to sustain the exercise, as it moved into anaerobic (no free oxygen) metabolism, which fatigued me even faster. My legs turned to jelly as I tried to pump the pedals a few more times, then I collapsed into a rather dishevelled heap over the handlebars. 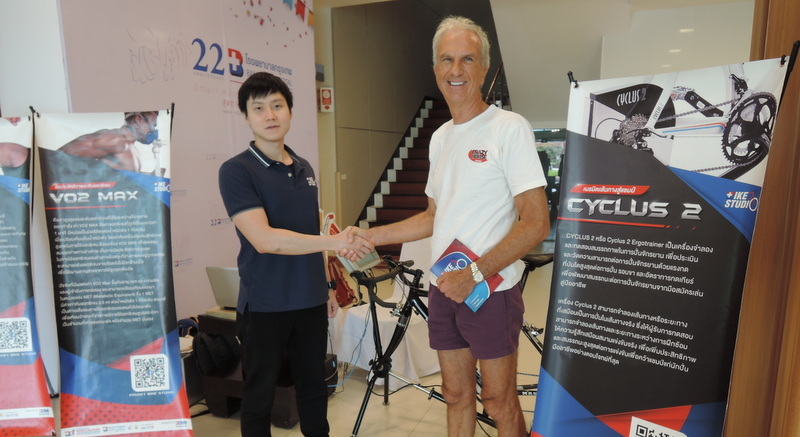 Khun Suli produced reams of printed out graphs and data showing every aspect of my performance and underlying cardiovascular fitness and metabolic health. 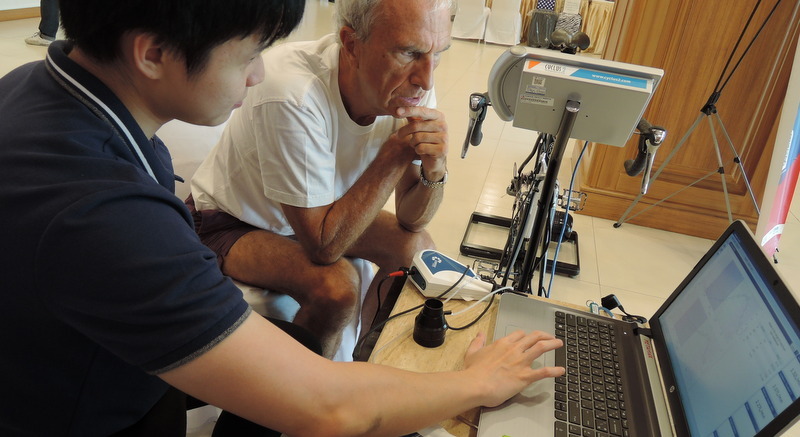 For the record, my fitness rated pretty well for an old codger of 68 and Khun Suli even spotted my heart’s prolapsed mitral valve’s inability to completely close. Despite this, he gave me the green light to keep pounding on the pedals and enjoying my cycling. May the VO2 Max Force be with you.